Police have revealed little about how Taja DeJesus, an active member of her local trans community, came to be in the stairwell where she was murdered. 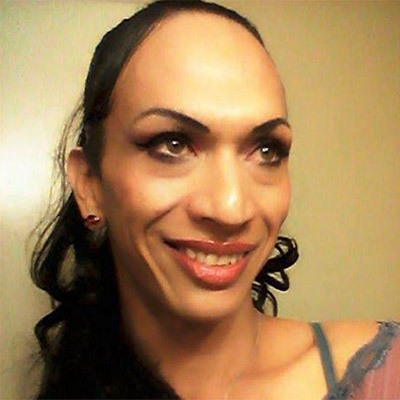 Taja Gabrielle DeJesus, a 36-year-old trans woman of color, was found February 1 at 9 a.m., fatally stabbed multiple times in a stairwell in San Francisco's Bayview District, the San Francisco Weekly reports. Friday, officials told the Weekly they had found her suspected assailant, 49-year-old James Hayes, dead in an apparent suicide. His body was discovered hanging by his neck from a fence behind a warehouse a half mile from where DeJesus's body was found. San Francisco Police Department spokesman Albie Esparza has remained reticent about any further details regarding the case, except to say that it is not being investigated as a hate crime. It remains unclear how DeJesus and Hayes knew each other. In the San Francisco Chronicle, DeJesus's mother, Pamela DeJesus of San Jose, remembered her as "beautiful inside and out," often giving away anything "extra" she had to those who needed it. DeJesus recounted how spirited and independent her daughter Taja was, having gotten her first job at age 15, raising enough money to buy a stereo to play the music she was passionate about, and traveling often to San Francisco until she was able to permanently move to Bayview, where she felt her identity was more tolerated than in her hometown. Taja DeJesus was an active member of a Bayview church, a food pantry volunteer, and a volunteer with Trans Thrive, where, program manager Nikki Calma told the Chronicle, "She was very vocal about issues in the trans community, especially when it came to health and disparity. She was well known and will definitely be missed." DeJesus is also being mourned nationally as the fourth trans woman of color murdered this year, in addition to Yazmin Vash Payne, 33, who was fatally stabbed January 31 in a suspected act of domestic violence in her Los Angeles apartment; Ty Underwood, 24, who was shot while trying to get away in a car January 26 in North Tyler, Tx. ; Lamia Beard, 30, who died at a Norfolk, Va., hospital after being shot by an unknown assailant; and Papi Edwards, 20, who was fatally shot in Louisville, Ky., by a man who was arrested two days later. "Four transgender women of color have been killed in less than a month and this is nothing short of an outrage, a national tragedy, and an epidemic," said Chai Jindasurat, codirector of community organizing and public advocacy at the New York City Anti-Violence Project, in a statement. "We must all take immediate action by supporting the leadership of transgender women of color, public awareness and respect campaigns, speaking out against this violence, and protecting transgender people from harassment and discrimination." Anyone with information about DeJesus's murder is asked to contact the San Francisco Police Department at (415) 575-4444. Update: A fundraising campaign has been started to offset funeral costs for Taja DeJesus' family.